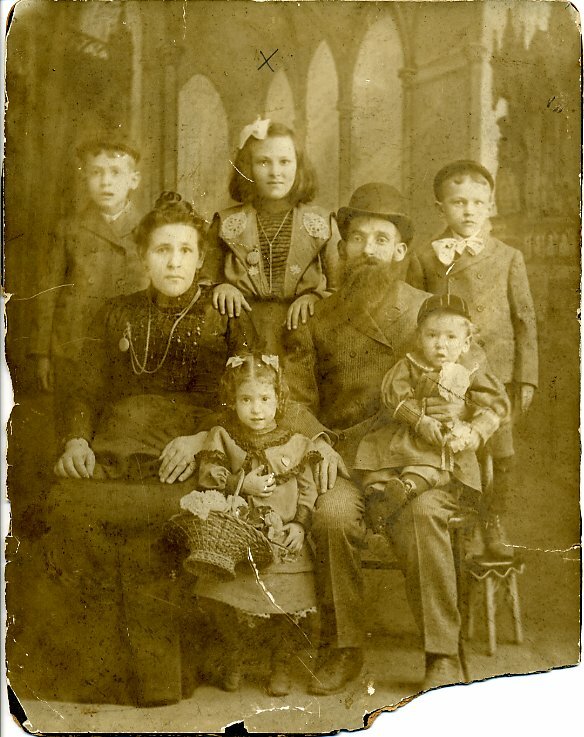 In 1894 Solomon Rodbell, a baker by trade, left Poland with his wife Fannie and their two-year-old daughter, Dora, to settle in America. They chose to make Baltimore their home, probably to be close to Solomon’s brother Abram, who had immigrated several years before. Abram Rodbell was also a baker, had in fact been Solomon’s teacher back in Poland, and ran his own shop in Baltimore. For a year Solomon worked for his brother until he and Fannie moved into a bakery shop on Pratt Street to start up their own business. The bakery was also their home. They lived in the basement with their growing family until finding a new shop some years later on Lombard Street. 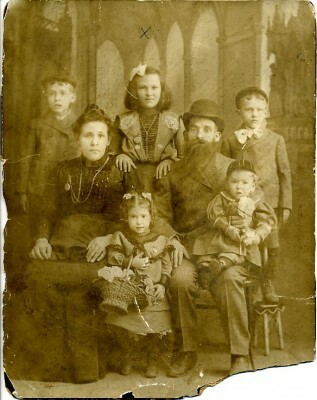 At age seventeen their oldest child, Dora, married Isaac Silber, a young immigrant who also worked on Lombard Street. Isaac, called Ike, grew up in Poland where he had been apprenticed as a baker. He, too, came to Baltimore to be closer to family who had left Poland before him. At first he worked for other bakers (most notably Parisers, well-established at the time and still in existence today), but eventually he opened his own shop and after he a Dora married they took over her father’s business. This became Silber’s Bakery, an institution in Baltimore, first in the Jewish community, then all over the city. Dora and Ike’s children grew up in the bakery, just as Dora had grown up in her father’s. They worked there as children and took over its operation as adults. The business passed through successive generations of Silbers, expanding into thirty-six stores around Baltimore before closing in 1980. This story of a Jewish family making a living through food is one that has been repeated dozens, perhaps hundreds of times in the Baltimore Jewish community since the nineteenth century. For many people, providing food for others was and still is how they survive, and how they thrive. Food is their business. And in the Baltimore Jewish community, business is often family. 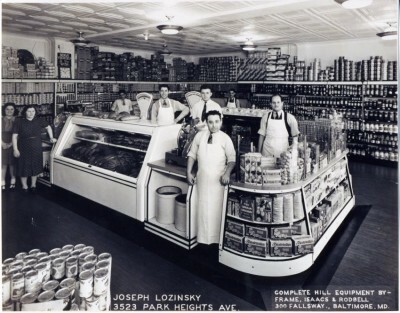 As the Jewish population in Baltimore grew during the nineteenth and into the twentieth century, the number of delis and dairies, butcher shops and bakeries, restaurants and grocery stores, fishmongeries and confectionaries owned by Jews grew as well. Families saw these businesses through every stage, opening as small local operations, directing them through the excitement and turmoil of decades of technological and market changes, to the thriving or closing of the business. These food businesses, which lined Lombard Street, peppered the inner city, and opened along Park Heights Avenue, impacted not only those who owned them, but the people who ate their goods. Whether or not these food businesses still continue today, they influenced the community around them – the Jewish community of Baltimore and the larger community as well. The story of the Rodbells and the Silbers can be heard through five oral histories at the Jewish Museum of Maryland. Rosalie S. Abrams interview, January 23, 1977, OH 46, Jewish Museum of Maryland; Dora Silber interview, June 11, 1978, OH 76, JMM; Rosalie S. Abrams interview, November 30, 1979, OH 98, JMM; Dora Silber and Kathryn Sollins interview, n.d., OH 123, JMM; Kathryn Sollins September 1982, OH 164, JMM.